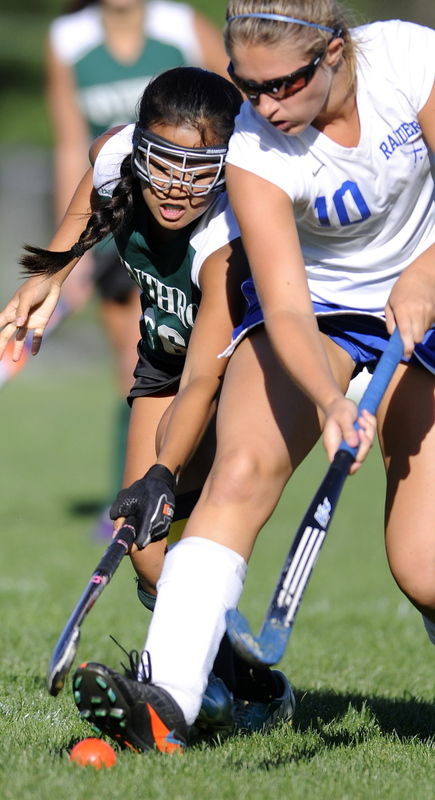 WALES — Kylee Veilleux had two goals and an assist to lead Oak Hill past Winthorop 4-1 in a Mountain Valley Conference field hockey game Monday. Sadie Goulet and Kayla Veilleux added a goal each for the Raiders (3-0). Heather Hannigan, Haylee Marshall and Lexi Fuller had an assist apiece. Megan Labee and Abby Fuller each made one save in net. Danielle Kotow scored off an assist from Emily Molino for Winthrop (1-1). Corinna Coulton stopped 16 shots. MARANACOOK 3, LINCOLN 0: Three different players scored to lead the Black Bears to a Kennebec Valley Athletic Conference Class B win in Readfield. 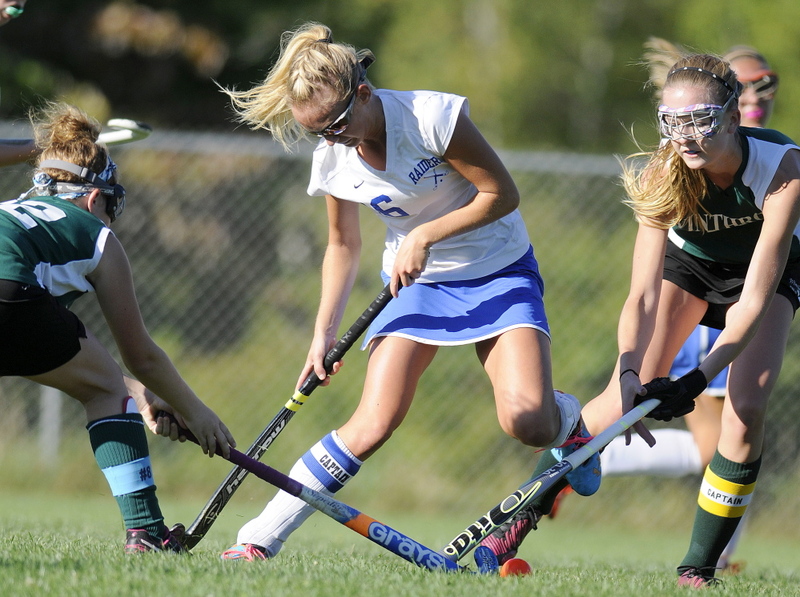 Ellie Longfellow, Amber Ridlon and Rachel Castonguay each scored a goal. Kianna Pushard, Kenzie Cookson and Longfellow chipped in with an assist apiece. Autumn Mann stopped two saves for the Black Bears (1-1). Andrea Call made 15 saves for Lincoln (0-2) and Zoe Sewall stopped one shot. BANGOR 4, MESSALONSKEE 2: Nate Bach and Marcus McCue each scored goals, but it wasn’t enough as the Eagles fell in a KVAC A game in Oakland. Jonah Webb had seven saves for the Eagles (0-2). Garth Berenyi, Elijah Tuell, Shea McCann and Sam Houston each had goals for the Rams (1-0).